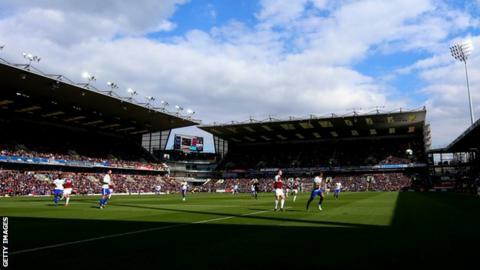 The Clarets say they have banned a supporter after reports of "a number of offensive posts" on social media. "The club, which has a strict zero tolerance policy to any racial, or discriminatory behaviour, strongly condemns the posts," the Clarets posted on Twitter. "We are grateful to supporters for bringing them to the club's attention and, following a meeting with club officials this morning, the person responsible has been banned with immediate effect from Turf Moor, pending the conclusion of a police investigation."